This is a “Nerd Voices” contributor piece from Nerdbot reader Jonathan Meisner. You can follow him on Twitter! Halloween is just around the corner (trust us, it’ll be here before you know it), and what does that bring? Horror movies, naturally. But, you can add heavy metal to the list as well. 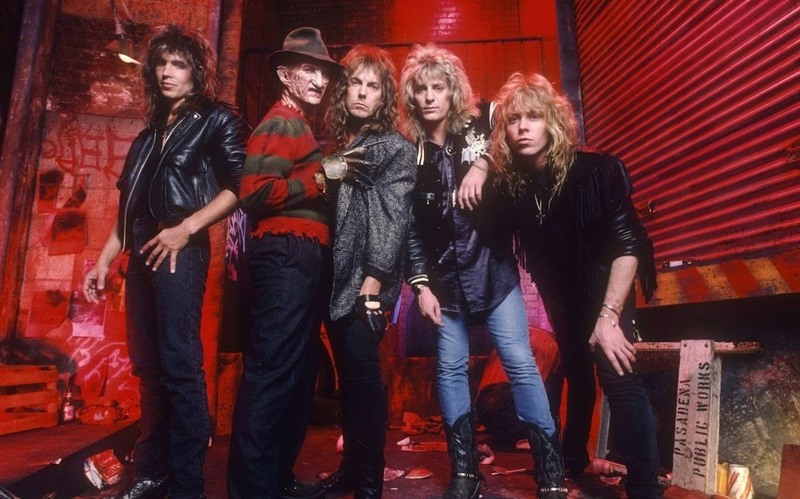 We’re going to look at 13 examples where horror and heavy metal formed an unholy alliance. Watch these films leading up to October 31st, and for your next Halloween party, put Monster Mash away, crank the volume on these tunes and throw up the horns. 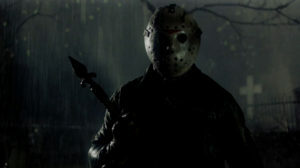 The third entry in the Tommy Jarvis trilogy sees a grown-up Tommy dig up the corpse of Jason Voorhees, only to see the hockey mask wearing, machete wielding killing machine rise from the dead and stalk Camp Crystal Lake once again. Teenage Frankenstein is also present during the film, if He’s Back has a little more synth than you’d like. 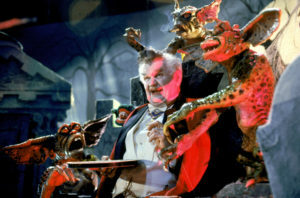 Gremlins 2 doesn’t have the same level of tension as the first film did, and many times gets a little cuter than it needs to, but it’s not a boring movie, and with Al “Grandpa Munster” Lewis and Christopher Lee making cameos, the Halloween/horror connections are there. Angel of Death is only heard briefly; as one of the Gremlins (Mohawk) prepares to make its transformation into a Gremlin/arachnid hybrid after downing a beaker of serum, but a countdown such as this wouldn’t be complete without Slayer. In the 80’s parents’ groups were all about playing records backwards to hear the satanic messages allegedly contained within and Trick or Treat from 1986 plays this up to full effect, when a teenager is subliminally influenced by the final recording of his heavy metal hero. 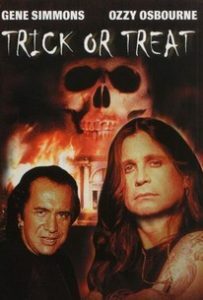 Gene Simmons and Ozzy Osbourne have cameos in this film, and the films name sharing title track was supplied by Fastway, a group formed by Motorhead’s “Fast” Eddie Clarke and UFO’s Pete Way. 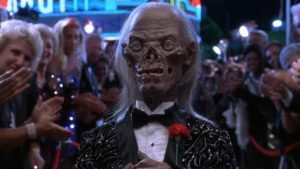 Who remembers the Cryptkeeper? If you were around in the 90’s you do. 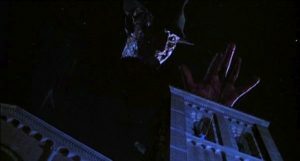 The success of horror films was beginning to wane by this time, but HBO’s Tales from the Crypt and the movie Demon Knight helped to re-popularize the genre. Pantera were already one of metals hottest acts at the time of the films release and this fan favorite fits in perfectly for that mid 90’s flavor. John Carpenter had experienced mild success as a film maker with Assault on Precinct 13, but it was his film about a group of babysitters being stalked by an unseen force of nature in Michael Myers that launched him to the top as one of horror’s most celebrated directors. When Laurie and her friend Annie are driving through Haddonfield just before night falls, Blue Oyster Cult’s classic Don’t Fear the Reaper comes on the radio foreshadowing the films third act. 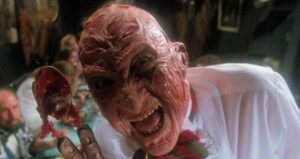 While Wes Craven is more famously known for Scream and Nightmare on Elm Street, he keeps his connection with dreams going in Shocker about a deranged serial killer played by Mitch Pileggi; better known as District Attorney Skinner on The X-Files. Alice Cooper makes a second appearance on this list, sort of. Metal heads may know Dave Mustaine as frontman of Megadeth but he’s also Alice’s godson, and turns in a respectable cover of No More Mr. Nice Guy. 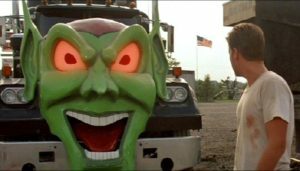 Maximum Overdrive is best remembered for having that Happy Toyz truck with the Green Goblin staring people down from its grill as well as first time director Stephen King getting AC/DC to provide the films soundtrack. 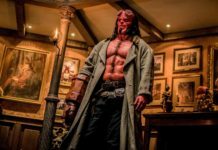 While Who Made Who is the better-known song that plays over the opening credits, Hells Bells fits our Halloween theme just a little more. 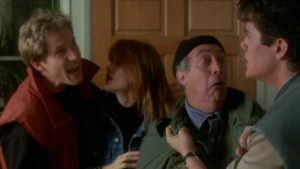 There are four films in the Ghoulies franchise, each more ridiculous than the last. The second film was on cable all the time when I was growing up, and I remember seeing the music video for the song Scream Until You Like It all the time as well. 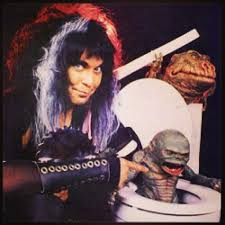 Take one look at Blackie Lawless and tell me the man doesn’t scream Halloween! While this isn’t the worst entry in the Elm street franchise (that is and will always be Freddy’s Dead: The Final Nightmare), by the time we got to part 5 Freddy was beginning to run out of steam. It’s still worth a watch however, because it’s Freddy and while Iron Maiden were also beginning to run out of steam, this song still deserves a spin at your next Halloween party. 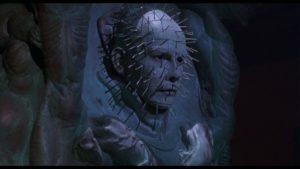 While the storytelling isn’t as strong as the first two films; in part to Clive Barker being largely uninvolved, the third film does give us some additional background on Pinhead and his origin. Lemmy wrote this song for Ozzy’s No More Tears album, and then recorded his own version along with a music video featuring Pinhead sitting down to play a game of cards, only for Lemmy to have an ace of spades up his sleeve. Tim Curry is amazing and was the clear MVP of the early 90’s television mini-series for IT, outshining everyone else on screen. 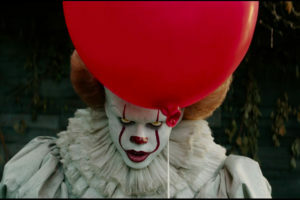 The 2017 feature film is even better, thanks to a strong overall cast, with Bill Skarsgård at the forefront as this generations Pennywise the Dancing Clown. Anthrax have long been fans of Stephen King’s work, specifically rhythm guitarist Scott Ian, so it was a fun nod to the band that we get to hear them during the film. Another movie that was on cable all the time when I was a kid, and it’s still a fun watch for me to this day, with a good mix of tension and humor. California based metal band Leatherwolf provides an equally fun blast of heavy metal with their song “Alone in the Night”. The lyric, “now I’m standing alone in the night, and hopelessly wait for the dawn” perfectly sums up being caught in the middle of a zombie outbreak. Fans of Freddy Krueger can debate until the end of time which Nightmare is the best. Is it the first film that started it all? New Nightmare can also be considered for doing something new and trying to make Freddy scary again. For my money however, Dream Warriors is the ultimate Nightmare movie to watch after you’ve given out the last of the candy or once your party guests have gone home. “Into the Fire” by Dokken is a very close second and it actually opened the film with the young blonde protagonist popping caffeine pills and downing Diet Coke, but hey, this one got the music video. Do you have a favorite scary movie/music mashup? Tell Nerdbot about it in the comments!